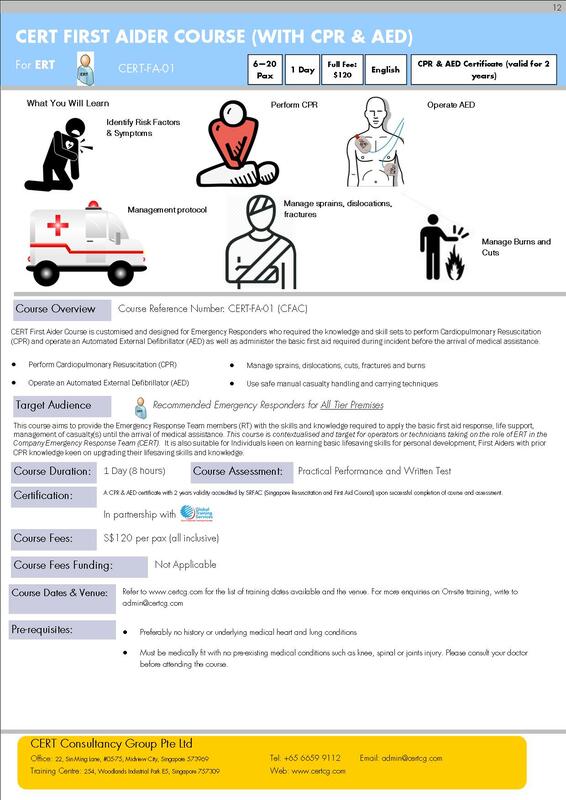 This course aims to provide the Emergency Response Team members (RT) with the skills and knowledge required to apply the basic first aid response, life support, management of casualty(s) until the arrival of medical assistance. 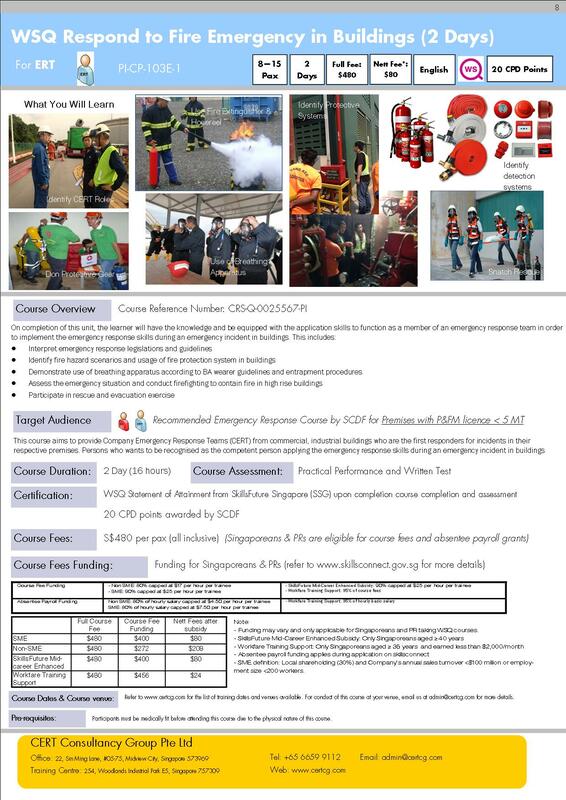 This course is contextualised and target for operators or technicians taking on the role of ERT in the Company Emergency Response Team (CERT). It is also suitable for Individuals keen on learning basic lifesaving skills for personal development; First Aiders with prior CPR knowledge keen on upgrading their lifesaving skills and knowledge. 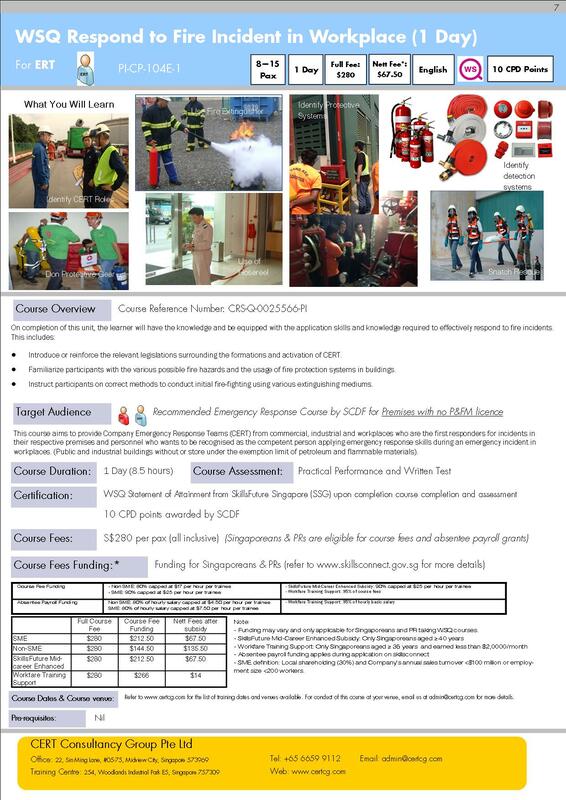 A CPR + AED certificate accredited by SRFAC (Singapore Resuscitation and First Aid Council) (in partnership with Global Training Services) will be given at the end of the training once the trainees pass the skills set and assessments. The certificate is valid for 2 years. $120 per pax (all inclusive). No Funding eligible for this course. 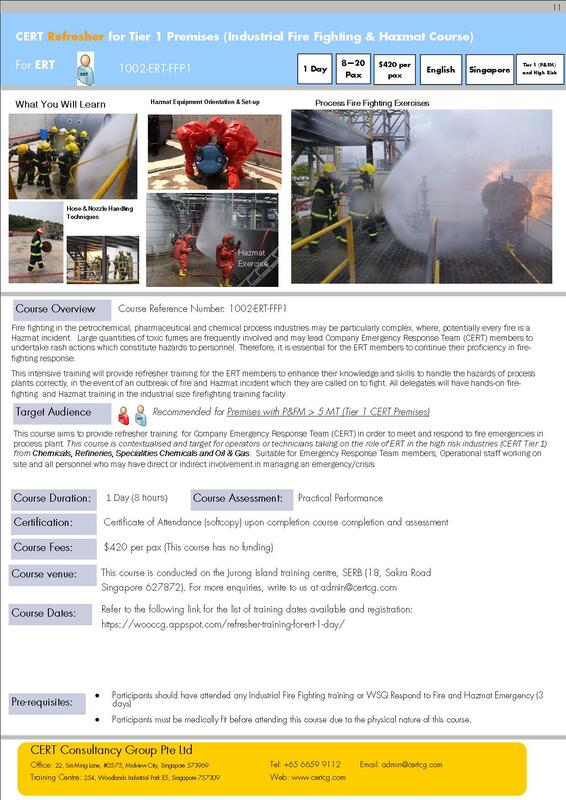 Course Enquiries: for more information and conduct of this course at your venue, please email us at admin@certcg.com for more details. 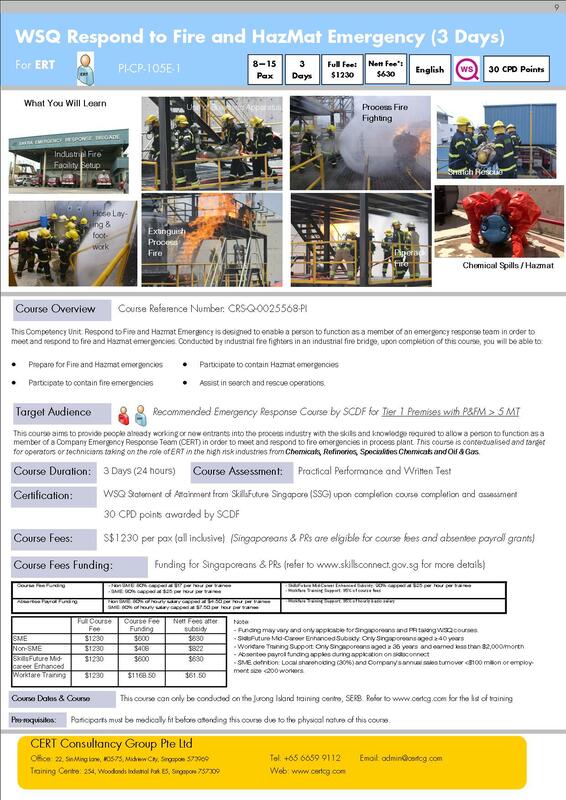 Course Fees:S$480 per pax (all inclusive). Lunch and refreshments are provided in this course. Refer to www.certcg.com for the list of training dates and venues available. For conduct of this course for your organisation, email us at admin@certcg.com for more details.